Prue Leith is back. There are some fans who may not have known the Johannesburg-born cook had ever gone away, having followed her since her earliest beginnings in the industry in the late sixties. But her latest cookbook – My All-time Favourite Recipes – is a return to her roots after twenty-five years of novel writing, philanthropy, and TV commitments in what some can surely argue is one of the most varied careers in celebrity cooking to date. 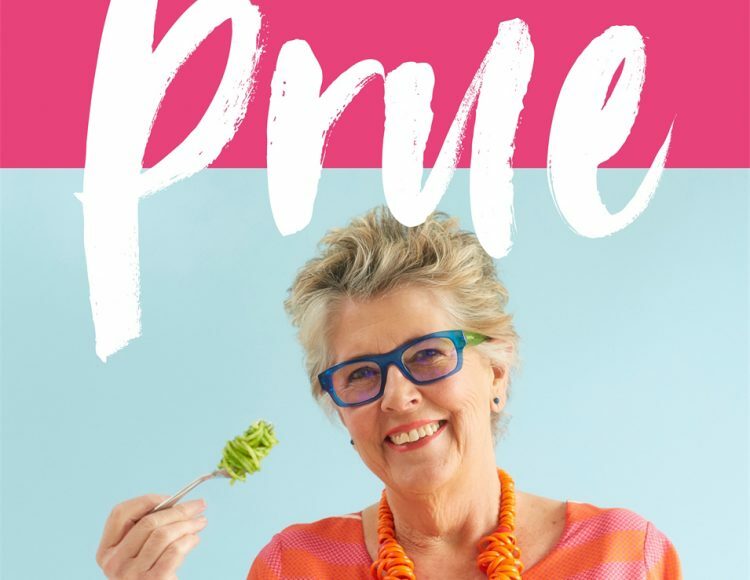 It’s hard to imagine Prue not being a central figure in the food industry given how the last two years have played out. Stepping into Mary Berry’s shoes during the somewhat controversial transition of The Great British Bake-Off from BBC to Channel 4 would have been a daunting task for anyone any less accomplished than herself. But Prue has taken to the new format like a duck to water, even despite that social media mishap (where she inadvertently leaked the winner) at the close of series eight. 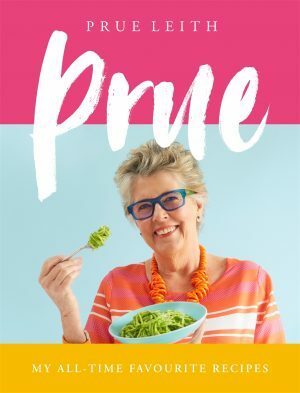 Prue’s effortless transition into one of the nation’s favourite foodie shows is altogether unsurprising given her history of variation, innovation, and adaptability. She’s founded Michelin-starred restaurants, cookery schools, and TV shows. Likewise, the food industry has changed almost beyond recognition since she last put her name to a cookbook. For example, the huge rise in vegetarianism and veganism. “I had a restaurant which had a vegetarian menu on it because I have always thought it very unkind to vegetarians to give them a menu that has one vegetarian dish on it and all the rest are things they don’t even want to look at!” she reveals. “I always had a separate vegetarian menu, and I think we were a little bit out on a limb. Of course, with a variety of ingredients from around the world these days, veggie shoppers are spoiled for choice when it comes to making showstopper dishes. Well-travelled Prue is only too happy to welcome such exotic delicacies, and make use of them. “There’s one that’s not really my recipe, it’s an absolute classic, but I just love doing it: it’s tabbouleh, and mejadara, and fried Lebanese potatoes, and labneh,” she gushes. “Labneh are the Lebanese cream cheese balls – you sometimes see them in deli shops, those little balls of cheese dipped in olive oil, they’re very easy to make. Mejadara is basically lentils and fried onions, and tabbouleh we all know is cracked wheat and lots of parsley. Leftovers, too, are a typically ‘Leithian’ideal that have returned to public awareness as a way of saving money on food costs. “They save you time and they save you money!” she enthuses. “If you have something left over that you can make into something else it saves you the cost of a whole entire meal. I’m horrified at how many young people just throw things away. Because we were post-war really, if I spread my bread too liberally with butter, my father used to say things like ‘have some bread on your butter, won’t you?’ My parents were the absolute no-waste generation. They had gone through the war, and I was born in the war, so I grew up post-war with austerity and so on. This no-nonsense, can-do attitude of Leith’s has certainly made her a popular judge on Channel 4’s Great British Bake Off. And the show itself has undergone a recent revelation of sorts, with the last season seeing the very first vegan week come into play – leaving even the most experienced cook on the programme learning new tips and tricks. Prue’s return to cookery writing will surely please her fans both old and new. As for what’s to come next in her varied career, there’s “hopefully” a new series of Bake Off to be a part of. It will give Leith the chance not only to showcase some of her characteristic frankness, but also a new selection of bold and vibrant clothes that she is becoming equally well known for: an on-screen reminder of her husband, fashion designer John Playfair, who she married in 2016. Try Prue’s recipe for Aubergine and Squash Lasagne with Almonds.